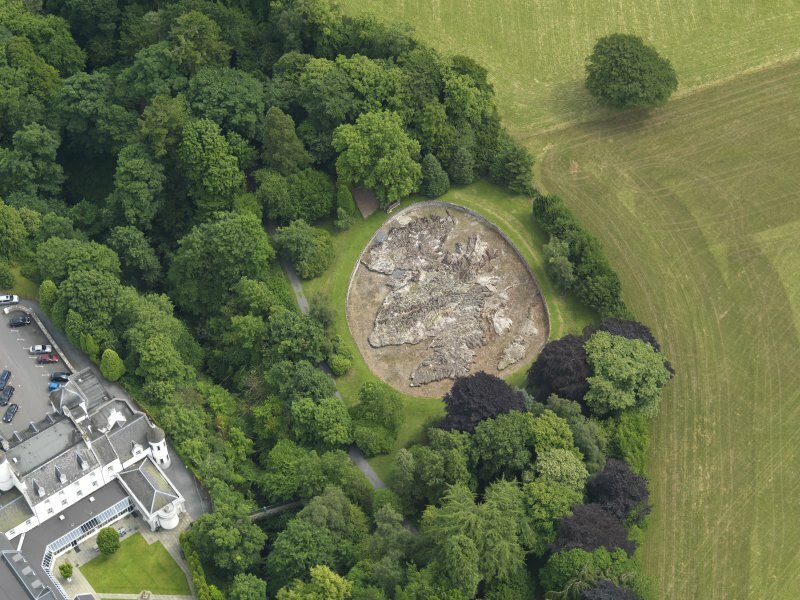 Oblique aerial view centred on the relief map of Scotland, taken from the W.
Oblique aerial view centred on the relief map of Scotland, taken from the S.
Black Barony Castle. 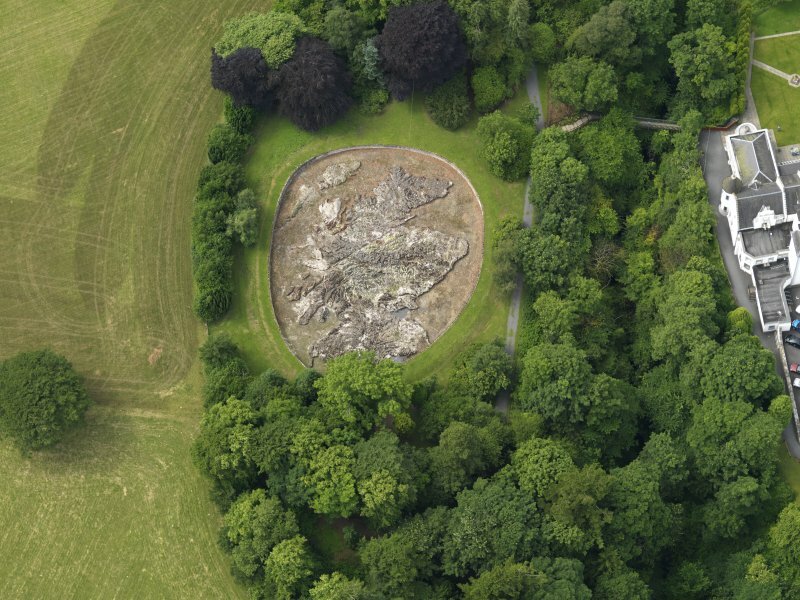 Oblique aerial view centred on the relief map of Scotland, taken from the E.
Oblique aerial view centred on the relief map of Scotland, taken from the SE. 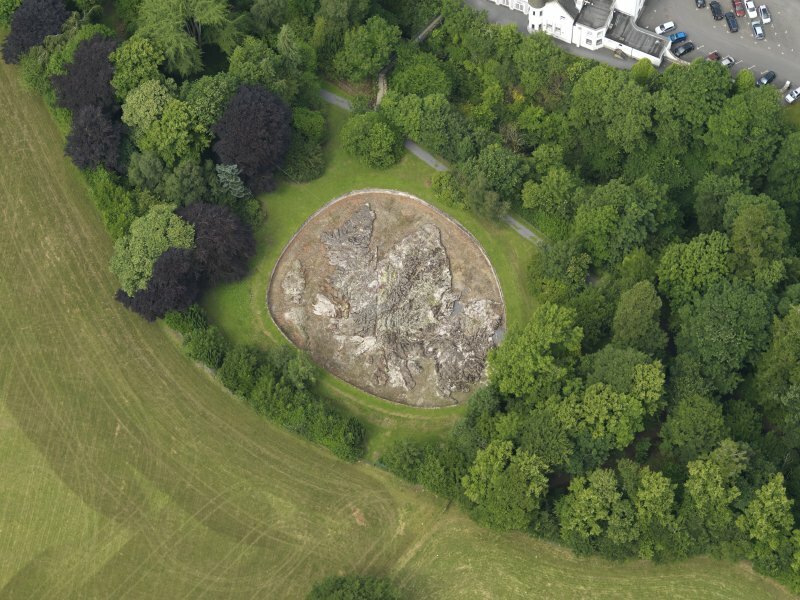 Garden feature at NT 23653 47177 consisting of a large scale relief map of Scotland set within a semi oval low walled boundary. Maczek's Polish Map of Scotland; a three dimensional relief map of Scotland built in 1975 as a memorial from Polish veterans of WWII to the hospitality of Scotland during the war. 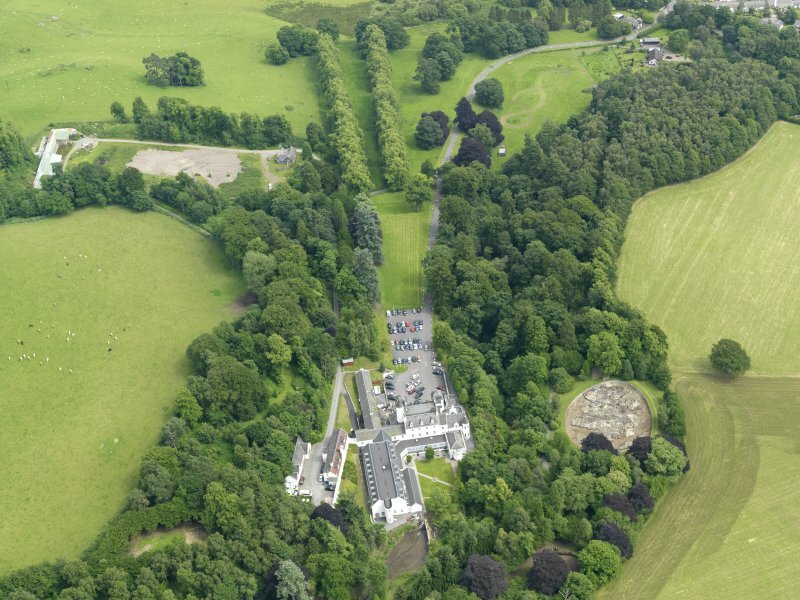 General Maczek's Great Polish Map of Scotland stands in the grounds of Barony Castle, Eddleston, once the home of the Murrays of Elibank, later the Black Barony Hotel. 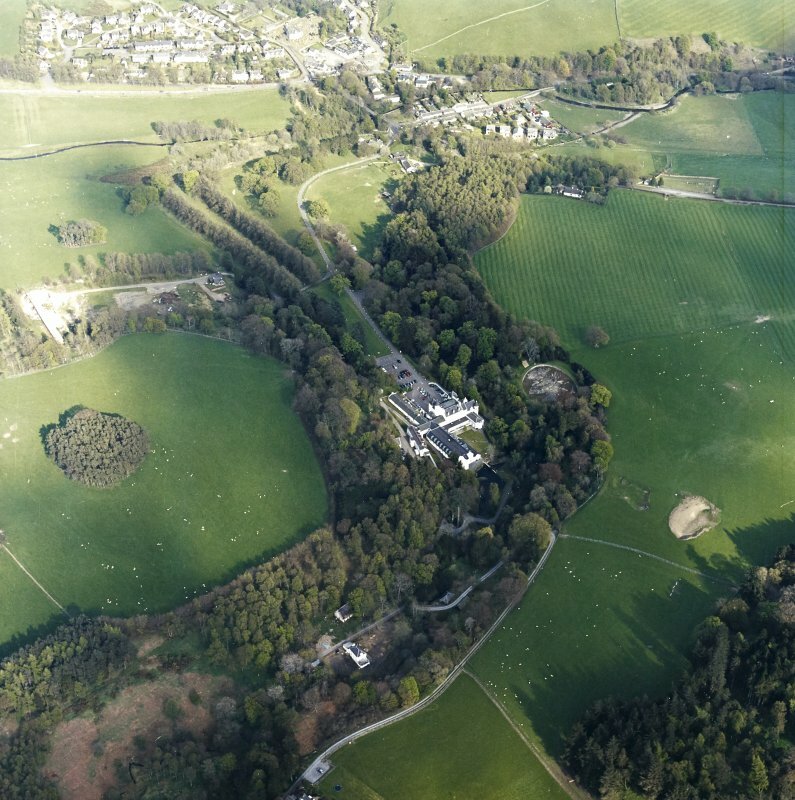 In the war years the house and grounds seem to have been in use by Polish forces, and some say an outdoor outline map was one of the features used to help plan the defence of the Scottish coastline which was under threat of invasion after the fall of Norway. Although returned to hotel use in the forties, years later the hotel came into the hands of a member of the Polish community who had been billeted there in wartime. He was a great friend of the General, gave the Maczeks the use of a suite in the hotel, and set about restoring and enhancing some of its water features. General Maczek had been shown an impressive outdoor map of land and water in the Netherlands demonstrating the working of the waterways which had been an obstacle to the Polish forces progress in 1944. He remembered this during his long years of exile in Scotland after he was deprived of Polish citizenship by the postwar Stalinist regime. These were not easy times for the General and those he had led. They were not welcome by the government at home in Poland. Here in Britain the official world had no further need of them either. No Allied government would offer a pension. It was a tragic irony for those who had given so much. But people thankfully, in Breda and in Scotland at least, continued to acknowledge their contribution. 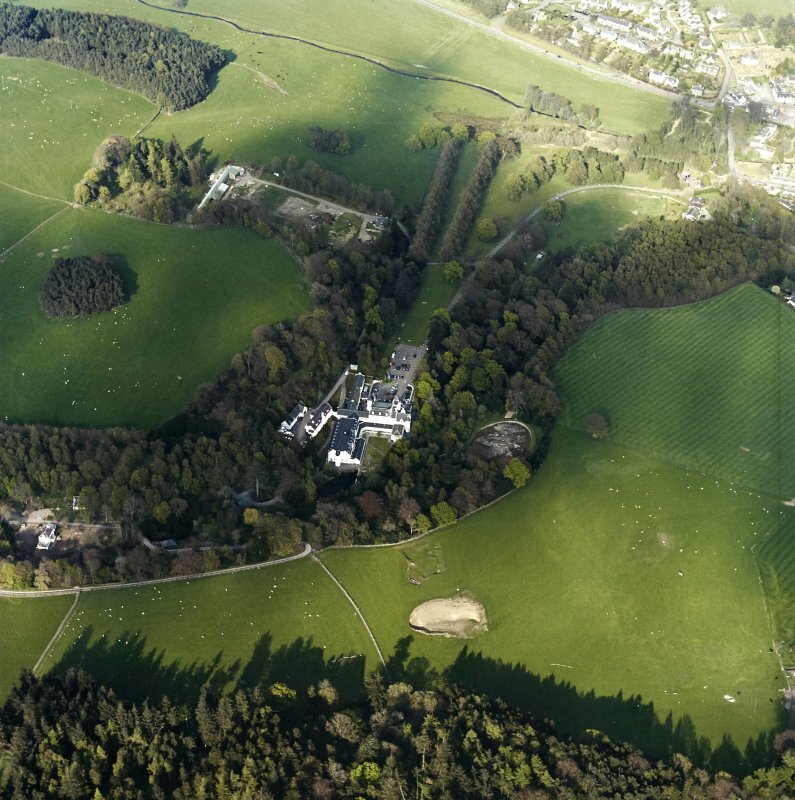 Set in the open air in the Peeeblesshire landscape at Eddleston, General Maczek and his companions conceived The Great Polish Map of Scotland as a permanent three-dimensional reminder of Scotland's hospitality to his compatriots. 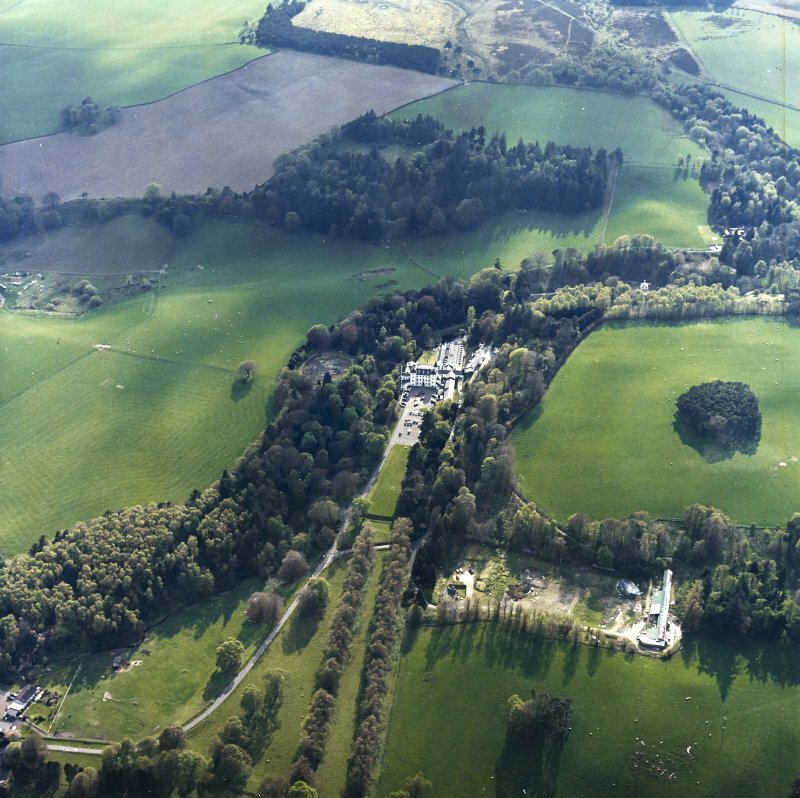 The coastline and relief of Scotland were laid out precisely by Kazimierz Trafas, a young Polish student geographer-planner from the Jagiellonian University at Cracow in 1975. 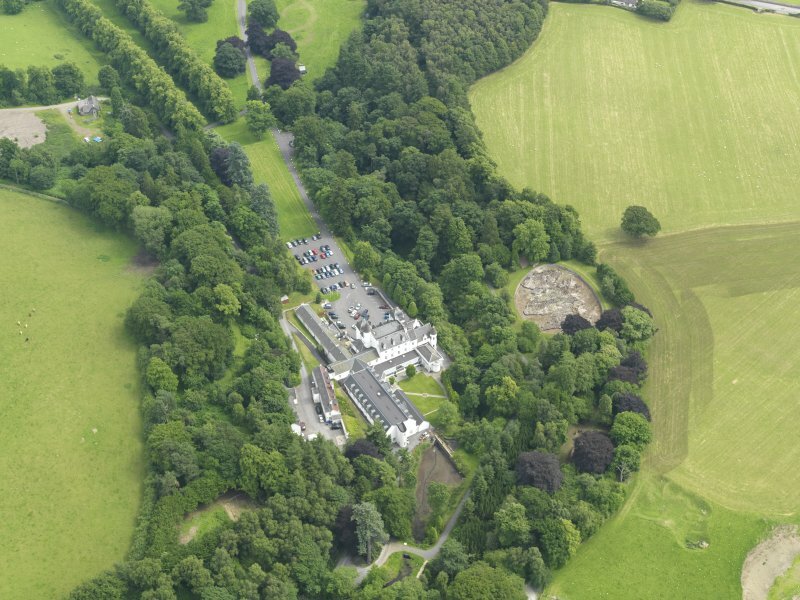 Engineering infrastructure was put in place to surround it with a sea of water and at the General's request some of the main rivers were even arranged to flow from headwaters pumped into the mountains. Designers: Kazimierz Trafas and Roman Wolnik with assistance from J Szewczuk, Z Olecki and M Raton, for Jan Tomasik, 1974-6. Large, 50m x 40m, sculptured concrete topographical relief map of mainland Scotland and Western Isles. 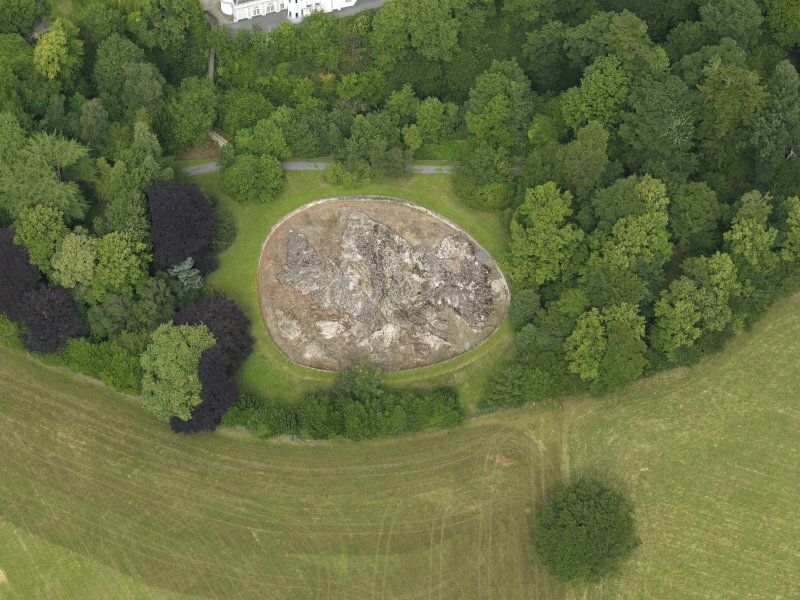 1:10000 scale with 500 percent vertical exaggeration, set within oval pool excavation 1.5 metres deep in garden ground to S of Barony Castle Hotel (see separate listing). 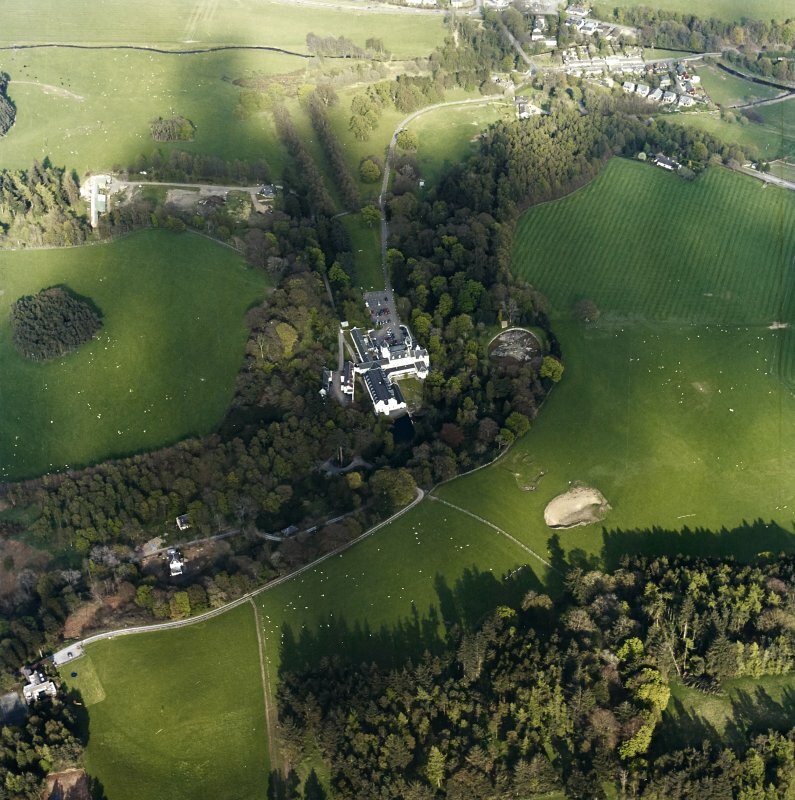 Includes major geographical landmarks and river and loch system fed by network of pipes.